DayZ is an exciting, open world survival, horror game, which release on PC some years ago. DayZ development team said in the past that they will be bringing the same experience to Xbox console. But there hasn’t been any announcements about the game or the graphics, how will it look like on Xbox as compared to PC. Recently, the developer announced that DayZ will be coming to the Preview Program for Xbox later this year. No support for the Xbox One X was mentioned. But now they have been revealed by on Twitter when he was asked about how many frames rate will the game get. As said by the team on Twitter DayZ manages to run at 1080p resolution at 50-60 fps with frames rate dropping here and there as it is in still development. The studio has planned to support 4K@30 FPS in the future. There is no date when this all will happen but they plans and are working on it. 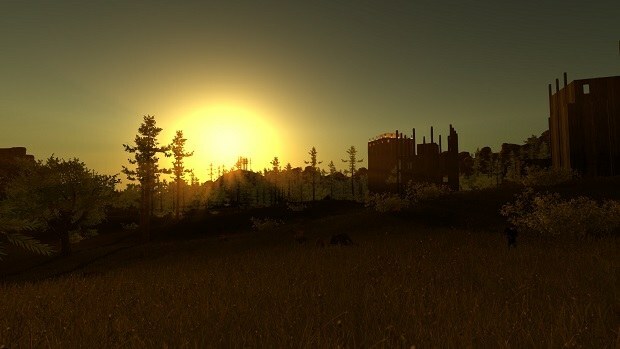 In DayZ, the goal for the players is to survive on a post-apocalyptic map for as long as they can manage. In this particular video game there are no lives, hints or tutorials so if you do make a mistake and die in the game you will end up losing everything and start from beginning with nothing. The only way to survive is by scavenging more resources. Everything is limited so it common to find your friend turn on you if he needs to save himself. DayZ’s plot consists of a planet which is hit by a new and unknown infection that will wipe out the population in the world. You re among the few survivors and making use of environment you can survive, the game is different and has some surprises for you to witness once you get hands on the game in future. DayZ on the console has been in talks since 2014 so we hope this year we might get to see or play the game. DayZ is an Xbox exclusive.